Do you want only the best floor materials? 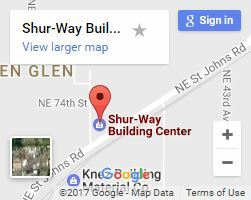 Then come by Shur-Way Building Centers! As a staple in the area for decades, we’ve been providing floor materials to Vancouver WA for houses, businesses, and more. 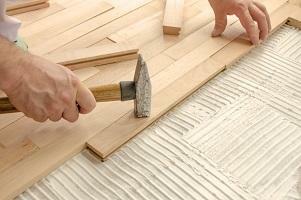 When you want to remodel or put a quality floor in a new construction home, you want materials that are going to last. Whether you’re going to do all the work on your own or want us to help hook you up with an honest local contractor, our dedicated service is the best Vancouver WA has to offer. Choose from various flooring materials! While we have many kinds of lumber, we know that wood flooring isn’t the ideal choice for everyone. That’s why we carry several varieties, each with their own strengths and ideal setting. Hardwood. Hardwood flooring is a fantastic natural type of flooring derived from trees, many from right around here in the Northwest. Many of our choices are sustainable, using such materials as EnviroCore that uses up to two-thirds less harvested wood than other hardwood floors. Laminate. Laminate is an inexpensive, easy-to-install option. Nowadays, there are even some that don’t need any nails or glue to install in your home or office. Simply put them together and let them snap into place! Just make sure you take care of those edge pieces! Vinyl. Some of our luxury vinyl flooring is so convincing, people mistake it for hardwood! Vinyl is a good choice for people that want the look of hardwood but need something that’s resistant to water and costs a little less. Vinyl also is relatively easy to install. Our family-friendly service won’t be meet! When you come into our store, our goal is to treat you like one of our own. That means we’re here to help you whether you need to pick up a few things from our store or just need some advice. As an active part of the community, we know people from many industries and know who will take care of you. So if you’re in need of flooring or any other building supplies, give us a call, contact us, or simply stop by for a chat!